At the beginning a one-off project, Sarke became a regular band with the release of their second longplay ”Oldarhian” in 2011. 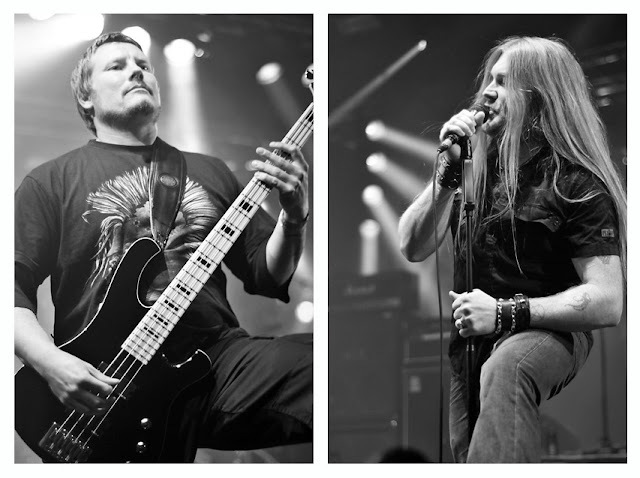 The full line-up is packed with members of such extraordinary Norwegian hordes as Spiral Architect, Ihsahn, Susperia, and Satyricon, which gives all the right to say that this time it’s serious. The band is led by Thomas ”Sarke” Bergli, previously better known as a drummer in both Khold and Tulus, and completed with the unique figure of Nocturno Culto. 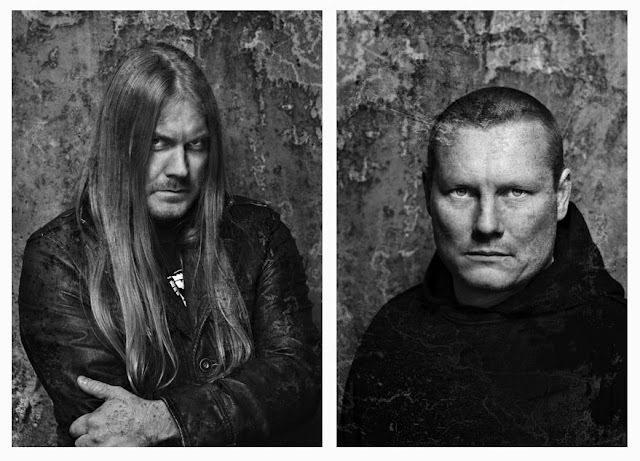 It takes the cold and raw Scandinavian sound to its deepest roots. 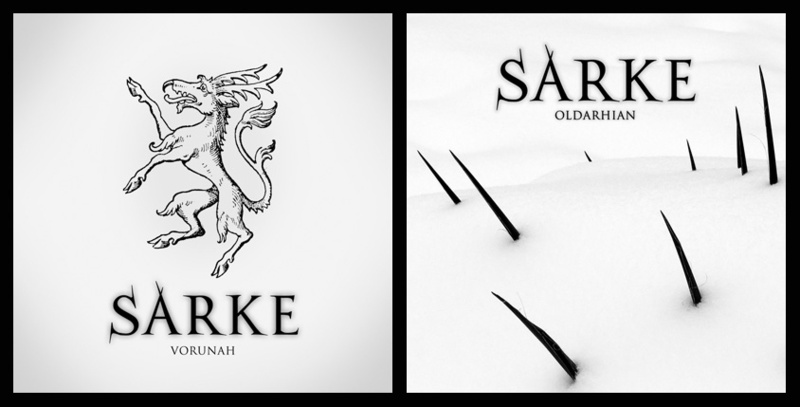 Mixing all that is best in thrash, heavy and black metal classics, Sarke offers records which are simply a joy to listen to. Primitively and straightforwardly, they strike with old school passion, distance and humour. Sarke himself explains matters in a telegraphic manner. “Oldarhian” is a more complex record in a structure than “Vorunah”. Is this because there are now more people involved in the band beside just Nocturno and yourself? Yes, I think so. On the first album I did everything by myself and worked a lot on my own. On the second release there were more people involved. We rehearsed a little bit and spent more time in the studio. 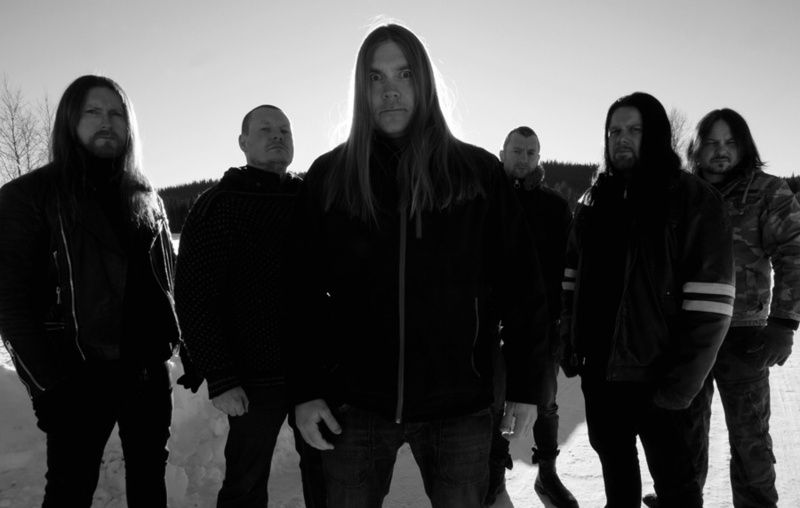 “Oldarhian” was released almost exactly two years after “Vorunah”. What were you up to during that time? Sarke was supposed to release only one album. It did well and more and more people were asking for it, both live and new stuff. So me and Nocturno agreed to put a band together and do some live shows and release a second album. How did the release party of “Oldarhian” go? Did you do any extra songs like surprise covers or other stuff? It went very well and there was a lot of people coming from different countries. Great sound and a great crowd. We only did songs from our two albums. You recorded the whole “Vorunah” album by yourself except the vocals and keyboards. How challenging is it to complete guitars, bass and drums tracks alone from scratch? It’s very ok. I can do everything my way. With Khold and Tulus I have to explain to the guitarist how I want them to play the riffs. With Sarke I could just do it myself. And also it was great to do it at my tempo. That’s fast. Often just one take and move on. Your lyrics on the first album, especially ones like the title-track “Vorunah” or “Old” are very striking and to the point, pure brilliance. Did you want to keep them simple to emphasise the old-school classic heavy metal style of the record? Yes, you could say that. Direct and primitive, just like the music. In the interview for Lordsofmetal.nl you said: “Vorunah is someone living inside you that you hate and can’t control”. Is it actually possible to play loud metal music and to live it without having such a demon? Maybe not. Metal people are something for themselves. Metal music is always best loud and of course with demons. Could you tell me what was the reason to start Sarke? You play in Khold and Tulus as well, so you shouldn’t be lacking metal. The reason is I want to release a solo album with music that has inspired me since I got into the metal scene. I think I did that very well. Did you want Sarke to be a live band from the beginning or did that idea came later on? It was going to be one record only and that’s it. But here I am with a second album, full line up and several live shows. Was Nocturno Culto the first and only choice for the vocalist of Sarke, or did you try any other guys too? He was my first choice and the vocalist I wanted very much for my record. Of course if he had said no, I would have had to look for someone else, but luckily, he said yes. Does the fact that there is a lot going on around Sarke right now mean a hiatus for Khold and Tulus? No, Khold had a break long before that. We are doing four festivals with Khold this year. Tulus is on and off depending on what we feel about it. Was the photo on the cover of “Oldarhian” taken especially for Sarke or did you pick it up from Bahrin Diana’s portfolio? And what the hell is it? A dragon sleeping beneath the snow? Maybe Vorunah himself? It was not made exclusively for us. It’s something dark, that’s for sure. Now with six creative people in the band, can we expect another record sooner than in two years? Maybe, we have to take one at the time. I’m not sure when the next will be out.